I found some great excel budget templates. 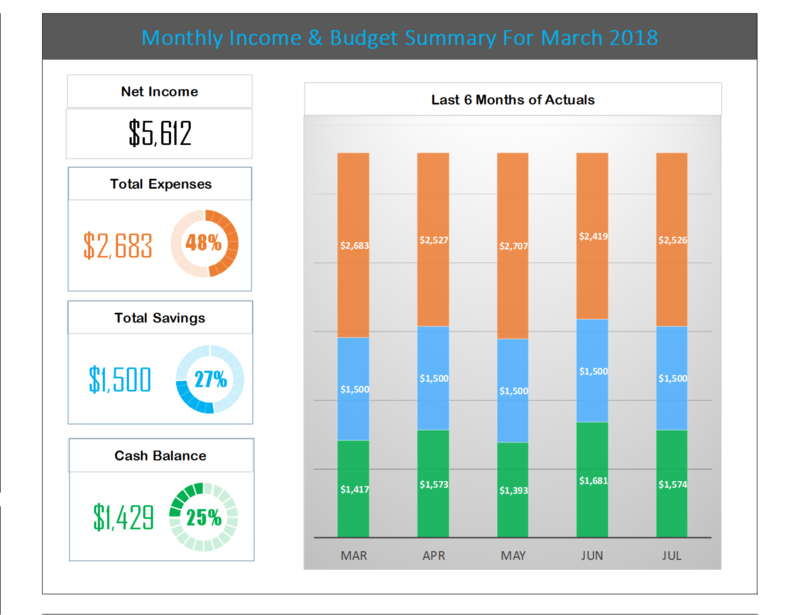 This one has a monthly budget planner built in along with a budget calculator to quickly make changes to your to you spend. The image blow shows what you spent for the last 6 months in an easy to read format. The next picture shows your monthly budget planned vs what you actually spent.